Obituary – Jackson, David Ray « Perry High School Alumni Association, Inc.
David Ray Jackson passed from this life January 8th, 2011 in Enid, Oklahoma. David was born September 13th, 1950 in Newcastle, Wyoming to Carl and Rose Ann Jackson. 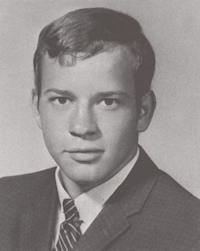 He was raised in Perry, Oklahoma and graduated from Perry High School in 1968. 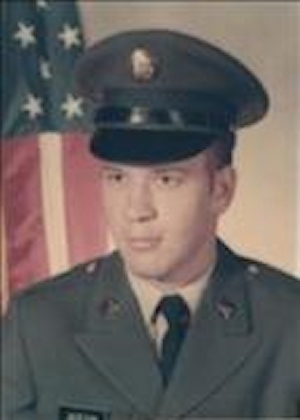 David served in the United States Army and served in Vietnam. He was employed by the United States Postal Service and retired after 15 years in Enid, Oklahoma. He is survived by his son Justin Ray Jackson of Albuquerque, New Mexico, a granddaughter Abrianna Jeanne Jackson of Jenks, Oklahoma, a daughter Melissa Boyd of Perry, Oklahoma, two grandchildren Wyatt Boyd and Rylee Boyd of Perry, Oklahoma, his mother Rose Ann Jackson and brother Dan Jackson and wife Phylis of Perry, Oklahoma as well as many nieces and nephews. He was preceded in death by his father Carl Jackson, and one brother Steve Jackson. A private family grave side service was held at Grace Hill Cemetery on January 12th, 2011 under the direction of Perry Funeral Home.